Gallery wrapped paintings are ready to hang, with no frame needed. David Dunleavy Art's most contemporary finish. 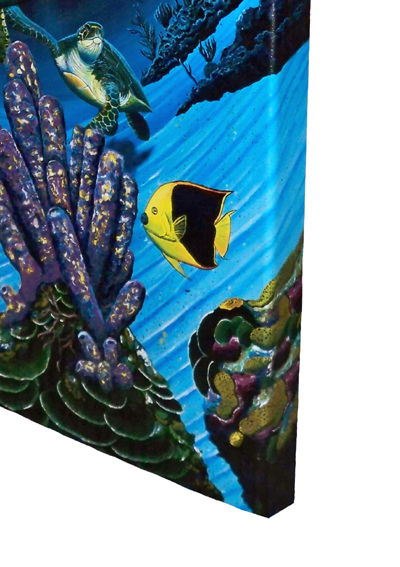 Our "Gallery Wrapped" Giclee canvases are designed to be beautifully displayed without an expensive frame. The canvas Giclee is sealed with a 100 plus year protective UV coating and skillfully mounted on thick, heavy duty 1-1/2 solid wood stretcher bars. Dunleavy's beautiful artwork wraps around the sides and looks great from any angle!